This came in TWO DAYS BEFORE the FL numbnut went off. 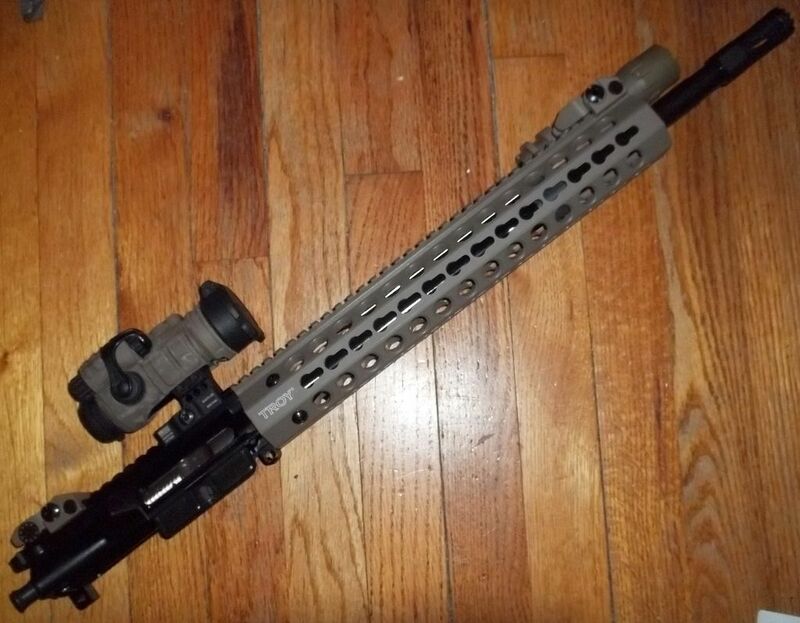 And given the general numbnuttery displayed by Hoggwash & his Tide-pod eating, condom-sniffing generation, I have decided to utilize it in my next build - another EEEEEEEEEEEEEEEEEEEEEEEVIL black FDE rifle! I just COULDN'T pass this up, and while I was not planning on building another FDE rifle... it just sorta... happened. I installed the DD LPK last night - using a DSA buffer tube kit. Got a MESS o' parts, including Magpul grip and BCM gunfighter stock in FDE - and a FDE cover for the Aimpoint Pro I'm sticking on it. Yeah, yeah, I know - Troy Industries, yada, yada, yada... But who would you RATHER see it with? ME? Or some Anqueefa slob? I'm pretty pleased with this upper, overall. 1: 7 chrome vanadium bbl, 1: 7 twist, Troy muzzlebreak and BUIS (the BUIS alone, are a $175 value!). 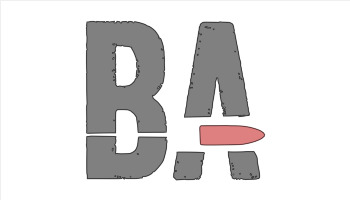 The one thing I DON'T care for, is the Brand "X" BCG, as i JUST got one of those with my PSA upper - I'm NOT thrilled with the light strike I'm getting on Privi ammo, and cahnging the firing pin DIDN'T help, so I know THAT BCG is out-of-spec. 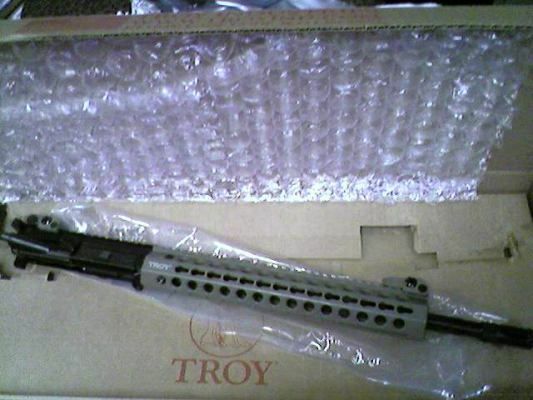 I have a chrome Toolcraft BCG (HP/MPI tested) ready to go in here - I have a BCM Gunfighter charger on the way as well. Along with the Daniel Defense LPK, I expect this rifle to be a decent performer when done. I THINK enough stuff comes to finish the lower tomorrow - I do have a Vltor endplate still out, so it might be early next week before I get it assembled. I have an Aimpoint Pro an ADM absolute co-witness mount ready for it as well. LOTTA goodies came in today (pics later - need the Vltor endplate first), light & mounts, and few other odds 'n' ends. Here's the BEST looking combo. Well, there's a first time for everything, and today - it's crushing disappointment. In BCM. I've NEVER had a problem with a single piece of their kit, in 10 years of using it. From sling mounts to entire rifles - I've owned & used just about everything BCM makes. I ordered a mil-spec Gunfighter Mod 0 stock for this new build, but no matter HOW much I pleaded, cajoled, and HAMMERED, it would NOT fit a mil-spec DSA buffer tube. So I tried it on a mil-spec Kaw Valley tube. Ditto. So I tried it on a mil-spec BCM tube! Squat. Couldn't get it past the first hole on each tube. Back to PSA it goes on Monday, for a refund. 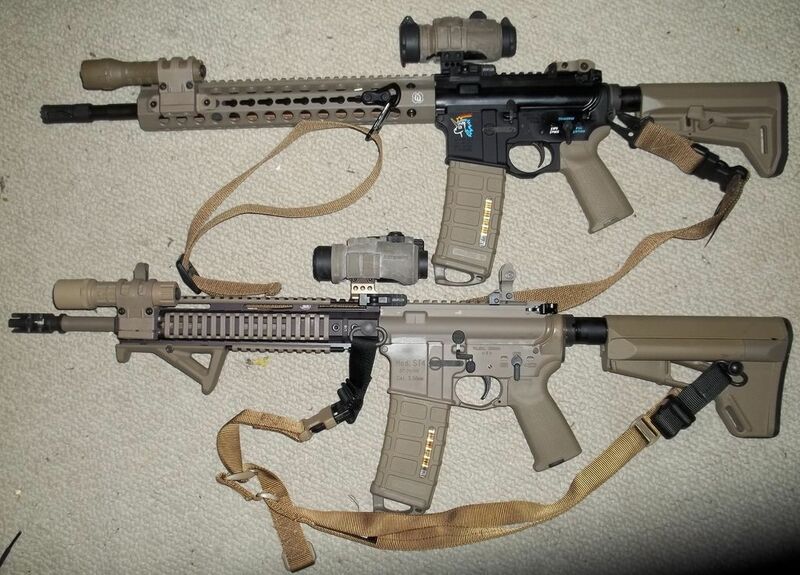 Reckon I'll go with a Magpul MOE SL instead. The BCM was actually $10 cheaper, but I have a line on a nice used Magpul for $45, so we'll see how that goes. On the BRIGHT side, my Vltor SASE-2 endplate works splendidly! Very nice piece of kit! Well... da' upper has come together nicely! Bravo Company keymod FDE rail, Vicking Tactical light mount, Streamlight Polytac Light, VISM keymod sling mount (I have a nice LAPG 2pt to 1pt sling for this rifle, not pictured yet. Uses HK clips to attach). Aimpoint Pro in a ADM Co-witness mount tops it off (and the Toolcraft BFG is not installed). 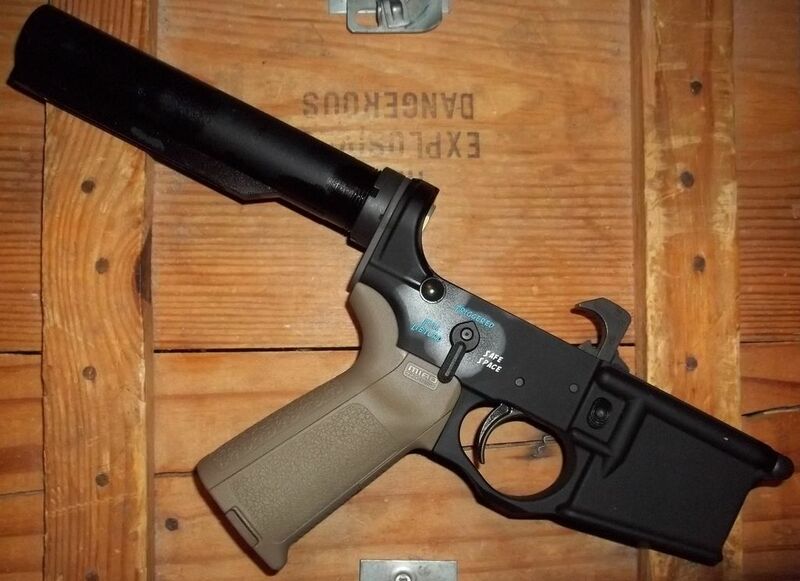 Just waiting on a Magpul MOE SL stock to arrive, and it'll be GTG! Was so excited, I ran home on my lunch hour, and put 'er all together! She's a lean, mean, snowflake-scarin' machine! Now my old (first) FDE rifle, has some company in the safe, besides all those eeeeeeeeeeeeeeeeeeeeeeeeeeevil BLACK rifles. (01-12-2019, 10:19 AM)The_Colonel Wrote: [ -> ] For sale? Not right now. I'm happy with my 6, prices are too low, and I plan on hanging onto this one for a long while. My 13 yo daughter LOVES it. What kind of scope is that and how much was it, I have a Bushmaster AR-15 and I have a BBC long range rifle scope on it right now, but I was told it was overkill and not the right one for mine and need something more practical. So what would you recommend? and something not overbearing pricey... More economical but will get the job done.